Whether you’re an experienced surfer looking for the best waves along the coastline of Hilton Head Island or you’re headed to Myrtle Beach and dreaming about how cool it would be to be a surfer… we have compiled the most popular surfing spots with the best and biggest waves along the South Carolina coastline to tell you about. As any surfer will tell you, no matter where you choose to get your surf on, it’s always wise to pay attention to the tides before heading out. There are charts and guides available online including these Hilton Head tide guides and the Myrtle Beach tide charts and guides. Each area typically has a killer place to check out when the waves are cresting and getting you the best chance to catch one. 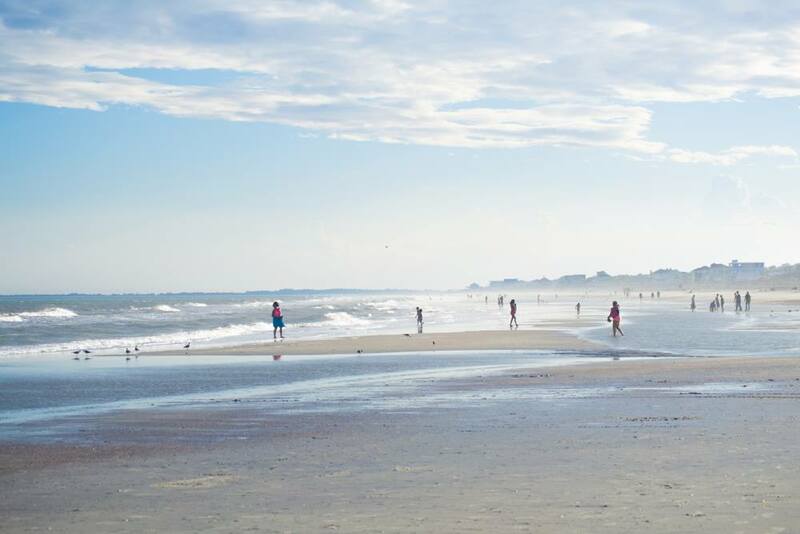 Burkes Beach is the premiere surfing beach on Hilton Head Island appealing to advanced through expert level surfers. The beach relies on drifting sandbars, but there is a small river mouth that is the entrance to the folly waterway and rock pile jetty on the south side of the folly opening. Due to the folly setup, there are various sandbars scattered throughout the beach causing a variety of breaks. Occasionally waves will have more energy around the follow. On most days surfers are scattered at various peaks right out in front of the walkway from Burkes Beach Avenue. 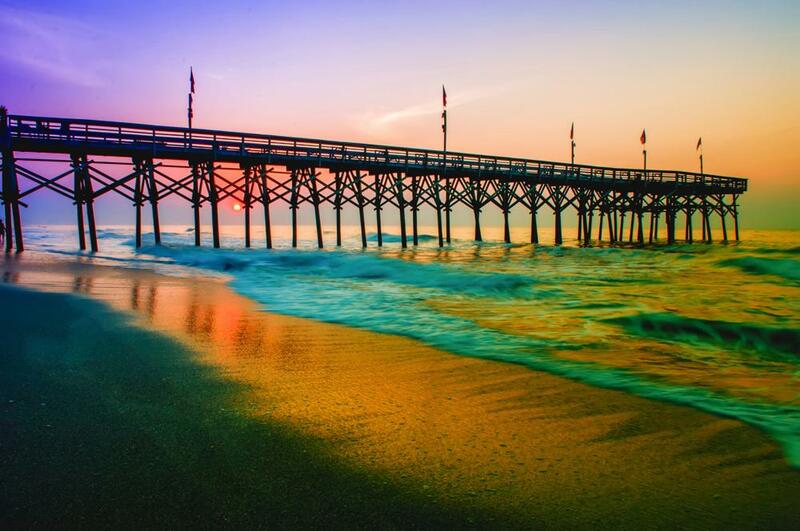 Folly Beach is one the top spots for surfing along the eastern coastline. This is a super beach for first timers just learning to surf. Folly hosts a number of surfing contests every year including the Wahine Contest in May. While the “Washout” is considered the best waves on Folly, there are several other popular spots. For the best surfing on Folly be sure to check it out when a storm is coming or nearby. Day camps and private lessons are available in the area. 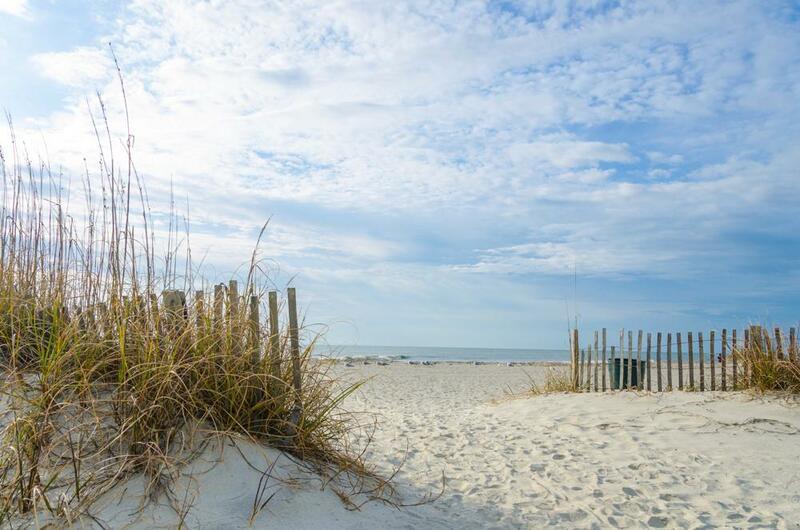 Located just 22 miles south of Myrtle Beach, Pawleys Island is a relaxed beach community offering great local surfing. Weekdays offer less crowded conditions. Breaks are at extreme north and south ends of island, the pier, and one spot in the middle. The northeast swells during mid to high tide provide surfers with longer lefts. Incoming tides generally won’t break at low but waves shut down if they get overhead. The pier does little to cut the drift. 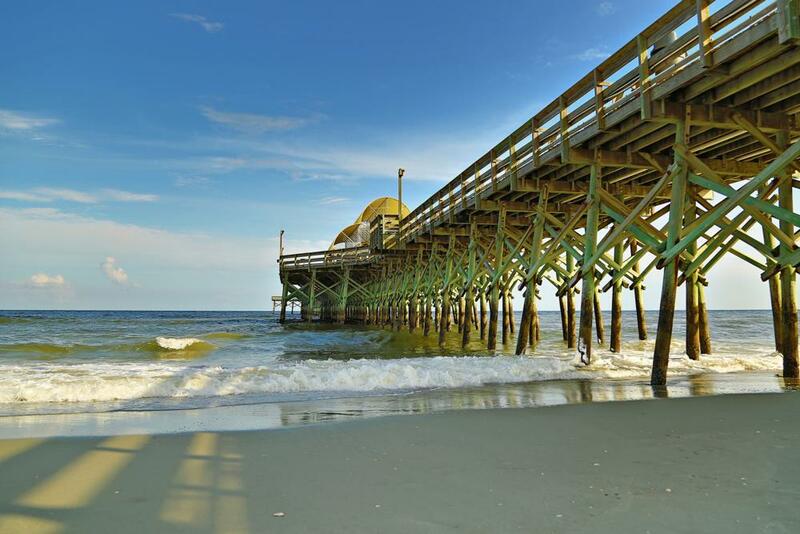 Pawley’s is best suited for experienced surfers. 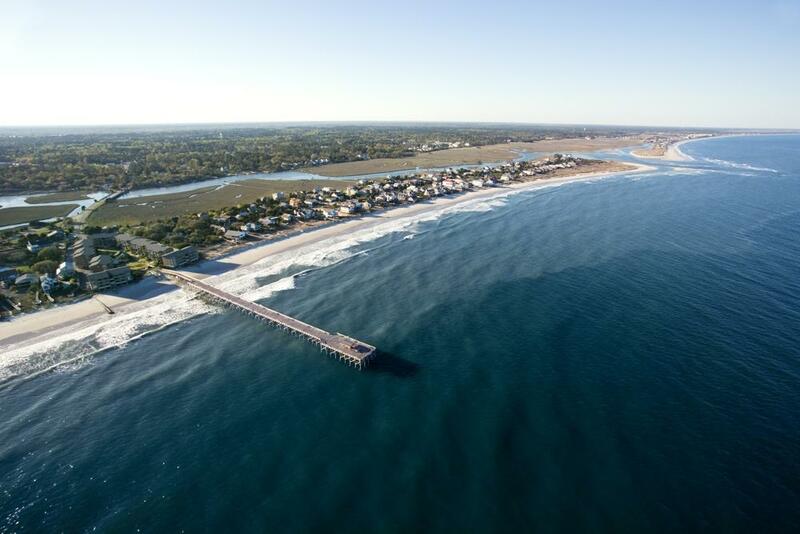 Garden City Pier is an exposed beach/Pier break that has consistent surf and works well any time of the year. Works best when there are offshore winds from the northwest. Tends to receive a mix of groundswells and windswells and the optimum swell angle is from the south/southeast. SE and NE swells offer best conditions at mid and high tide. The beach break provides left and right handers. Surfing suitable for all abilities. Can be super crowded on weekends but few surfers to be found most weekdays. If you’re looking for the best surfing in Myrtle Beach, you’ll find it in front of the Dunes Country Club during low tide when the tide is rising. This is an exposed river break that offers consistent surf. The swash creates a distinct sandbar that breaks both ways into the river mouth, giving longer rights on the SE swells. The best wind direction is from the northwest. Surf receives a mix of groundswells and windswells with the best swell direction being from the southeast. Waves at the river tend to peel to the right. There are plenty of board rentals in the area as well as lessons. 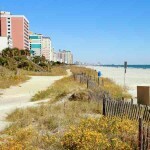 27th Avenue South in North Myrtle Beach is an exposed beach break with reasonably consistent surf. Offshore winds blow from the north. Waves are from local windswells as well as distant groundswells. The best swell direction is from the south/southeast. The beach break provides both left and right handers. Good surf at all stages of the tide. This is a popular site that can get crowded on weekends. Great spot for any level surfer from beginner to experienced. Pollution may be a hazard at this break. Free parking available at the beach access. If you’ve never surfed, let this be the year you try it. Find a place that rents boards, pay for a lesson (it’s well worth it!) and get yourself in the water. The first time you catch a wave you’ll be hooked. 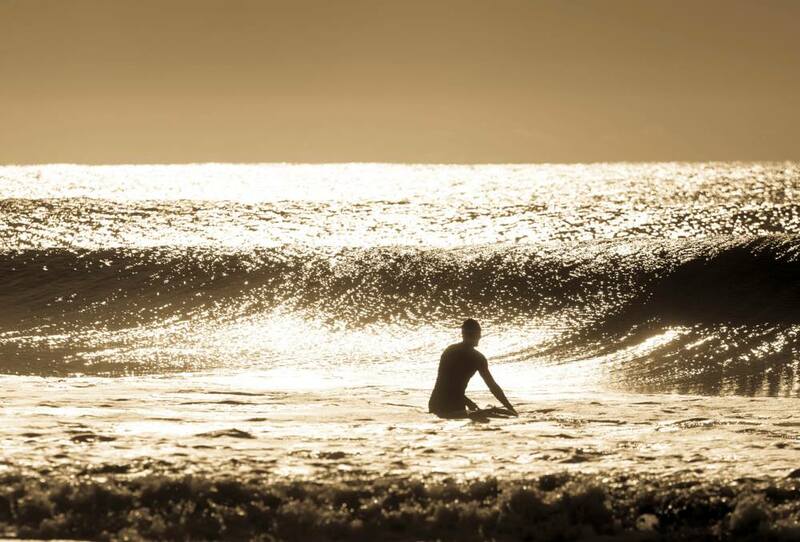 Riding that first wave, no matter how long, is incomparable to anything else you’ve ever done. You’ll be hooked on surfing right then and there. When you’re making your surfing plans and are looking for accommodations check out all of the above areas!